We’ve all seen those articles “Stars- They’re Just Like Us” floating around on the internet. However, this is not one of those articles. We love to be inspired by creative kitchens and what better place to find creative inspiration than the rich and famous. Most celebrity homes tend to have unique features and elaborate designs which we all admire. And while you can easily search the internet for full celebrity home tours, we’ve highlighted just a few of our favorite celebrity kitchens. 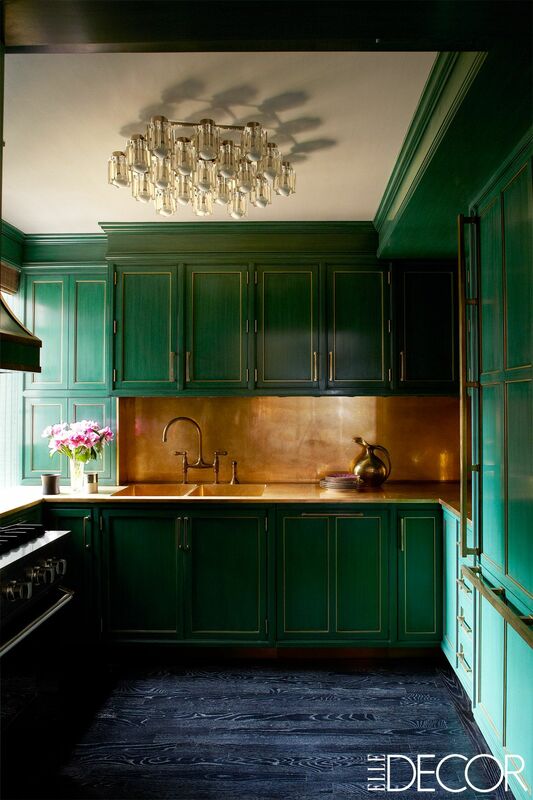 It’s not every day you see emerald green cabinetry with a full-blown copper backsplash. This unique pairing creates a dramatic yet inviting environment. 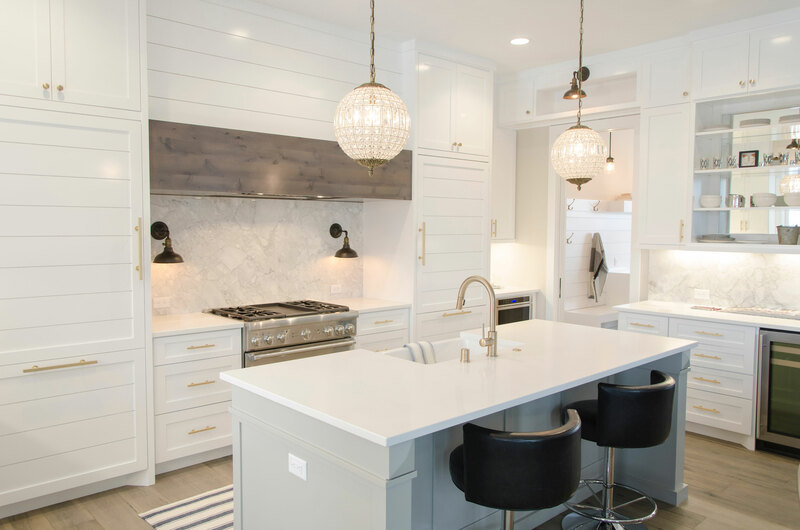 We love when kitchens make a statement and set the tone for the rest of the home. 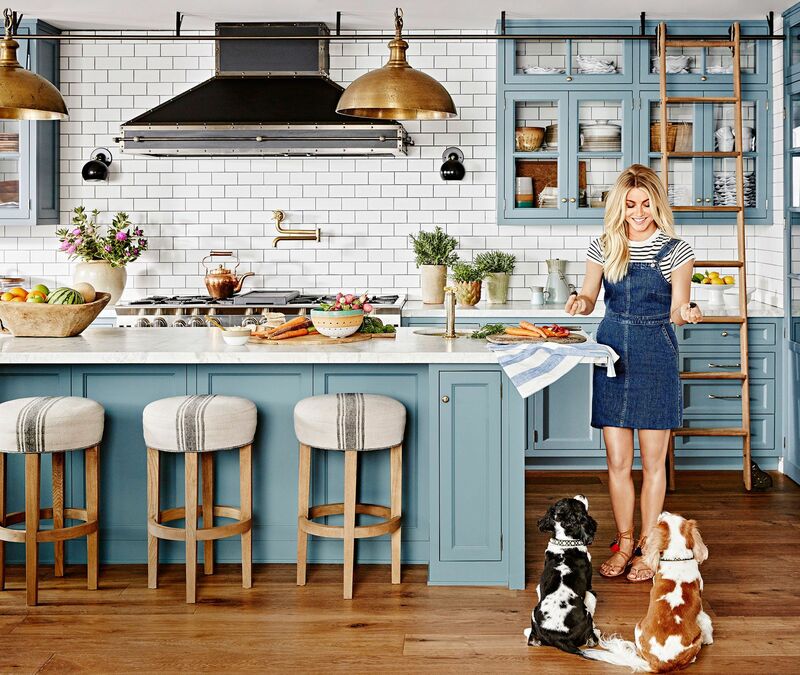 Julianne Hough’s kitchen is the ultimate example of using colors and textures in all the right ways. She balances out the blue cabinets by using glass panes in her doors and adding subway tile backsplash. It’s bright and bold yet at the same time still very light and airy. The way these cabinets are designed with clean horizontal lines makes the room feel even more wide open and elevates the lower ceilings. 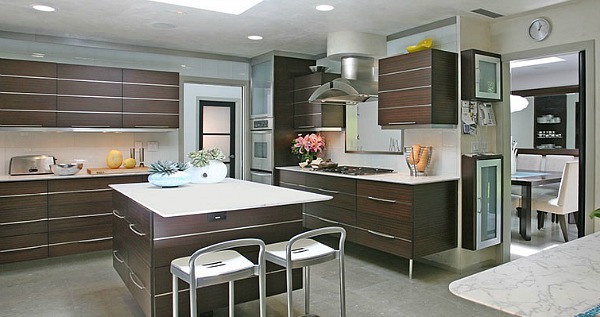 The futuristic stove vent adds the perfect touch to give this kitchen a definitive modern feel. Another colorful kitchen! 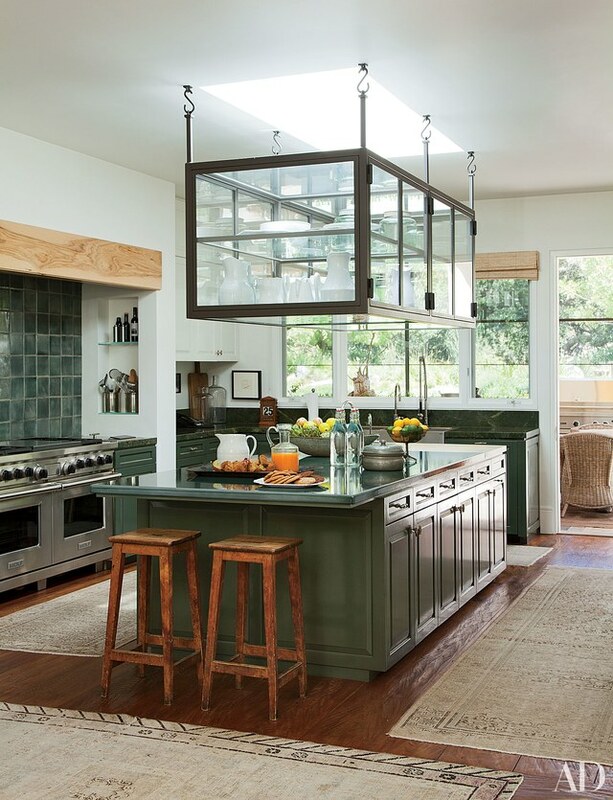 Notice the glass cabinets above the island? What an amazing use of space. By leaving the space above the sink wide open, using a neutral color scheme, and mimicking the windows with the glass cabinetry, this kitchen almost feels like you’re outdoors. Multiple ovens, a huge stainless steel range, and gorgeous oversized cabinets with a matching built in refrigerator; You would expect nothing less from a world famous chef. 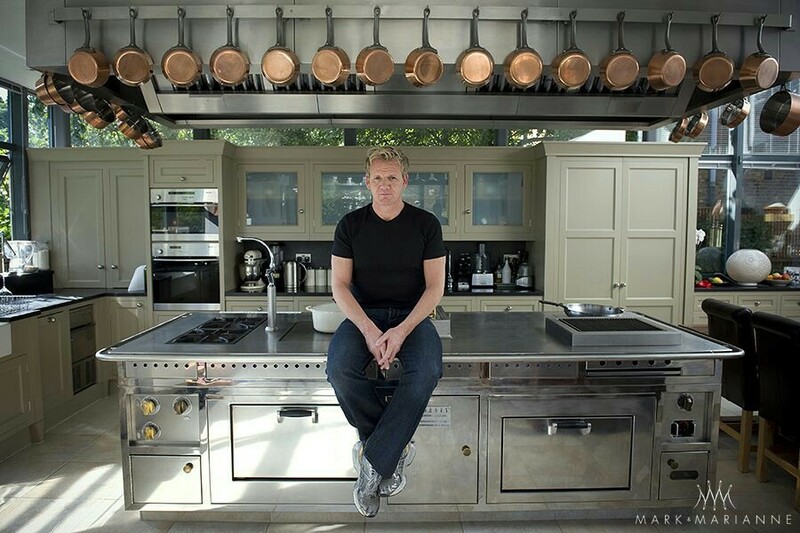 Gordon Ramsay’s kitchen looks like something straight out of one of his TV shows. Not only is it eye catching, it’s practical (for him at least) and that is what’s so impressive. While some of these stars have over-the-top spaces to match their over-the-top lifestyles, we now know exactly where to pull some serious inspiration for our next remodel.